If you initiated ship battle with your matching commander aboard your ship, it appears to be in two places at once and has a 50/50 chance to avoid all damage this battle. Hit = . Direct hit = . 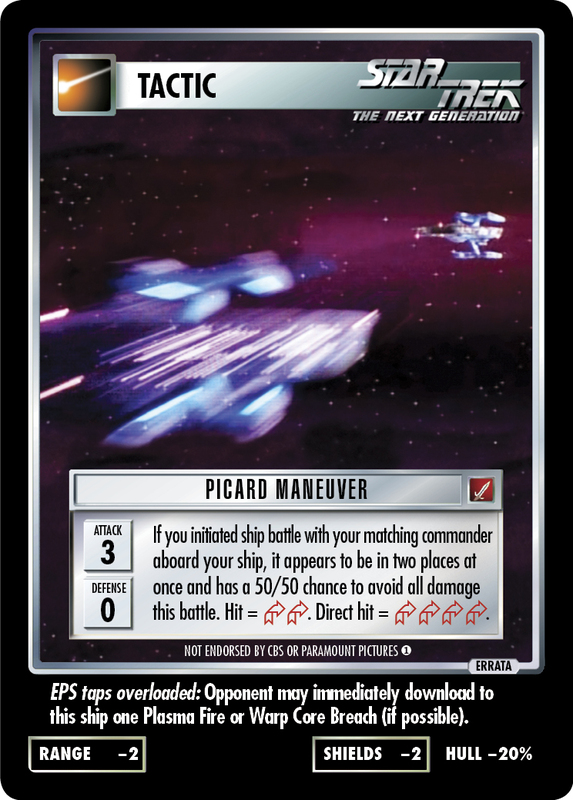 EPS taps overloaded: Opponent may immediately download to this ship one Plasma Fire or Warp Core Breach (if possible).